I am so completely in love with this city, it’s ridiculous. Giving in to its breathtaking landscape is easy…..
….which is why it has always been a popular shooting location for movies and tv shows. 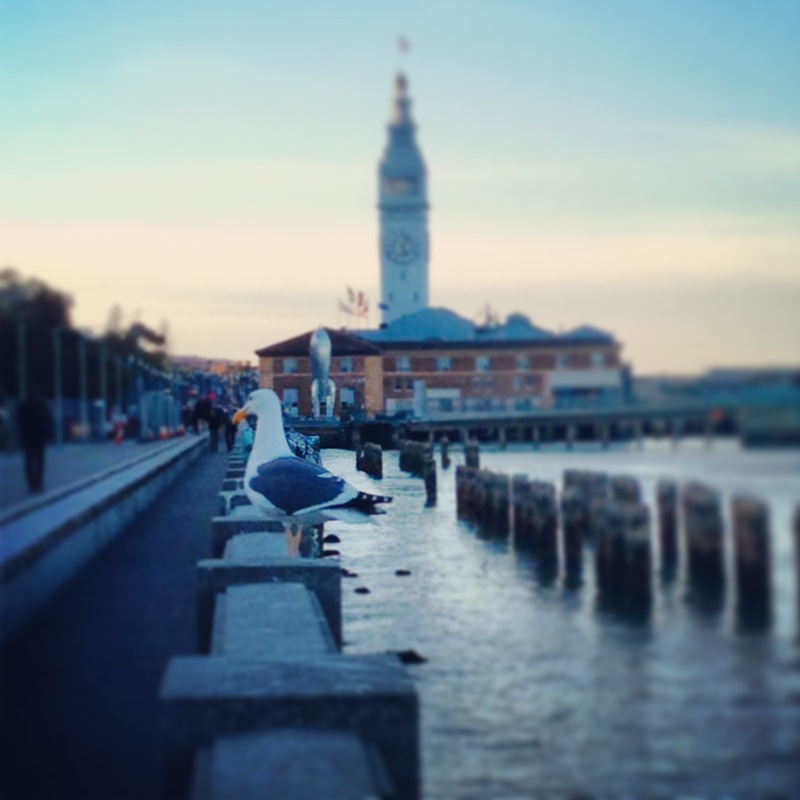 The city is also ladened with iconic landmarks that are camera-ready any time of the year. So naturally, I took an afternoon to scour the city for hotties that have appeared in some of Hollywood’s most popular tv shows and movies. I absolutely love one of Hitchcock’s masterpieces, and I am obsessed with Kim Novak in this movie, who plays the role of Madeleine Elster. 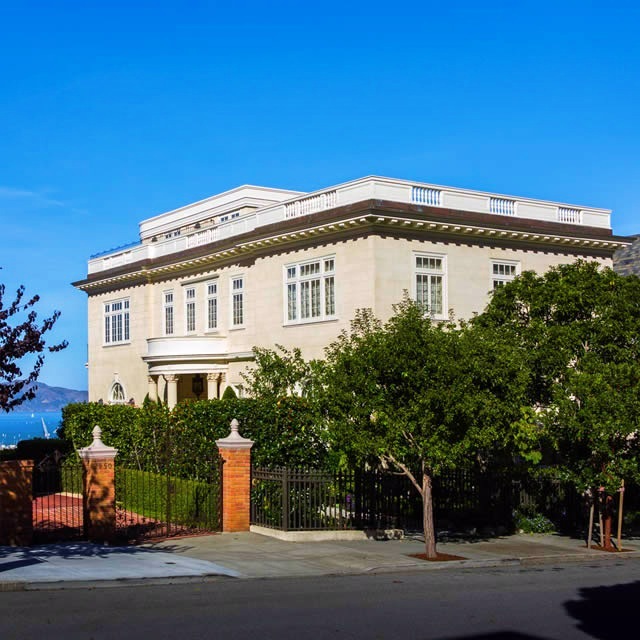 This was the residence of Madeleine and her husband Gavin, who hires the services of an acrophobic detective (played to perfection by Jimmy Stewart) to investigate his wife’s suspicious activities. If you’ve never seen Vertigo, I beg you to please stop everything and watch it now. You won’t regret it. I promise. If you regret it, please don’t speak to me ever again. 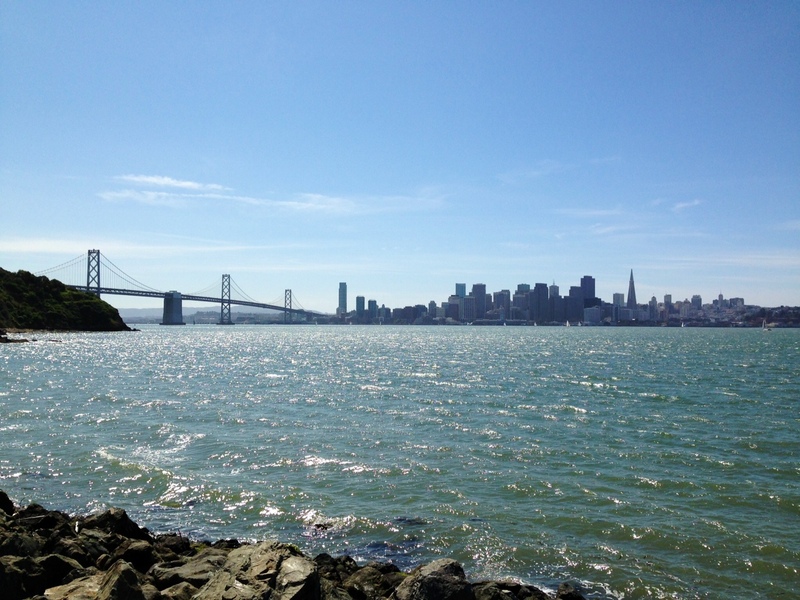 If you love San Francisco as much as I do, you’ll be happy with the plentiful city and Bay Area scenes throughout the movie. Imagine my surprise when I discovered the actual location of this house. It’s right in my hood in Potrero Hill, contrary to the movie title. 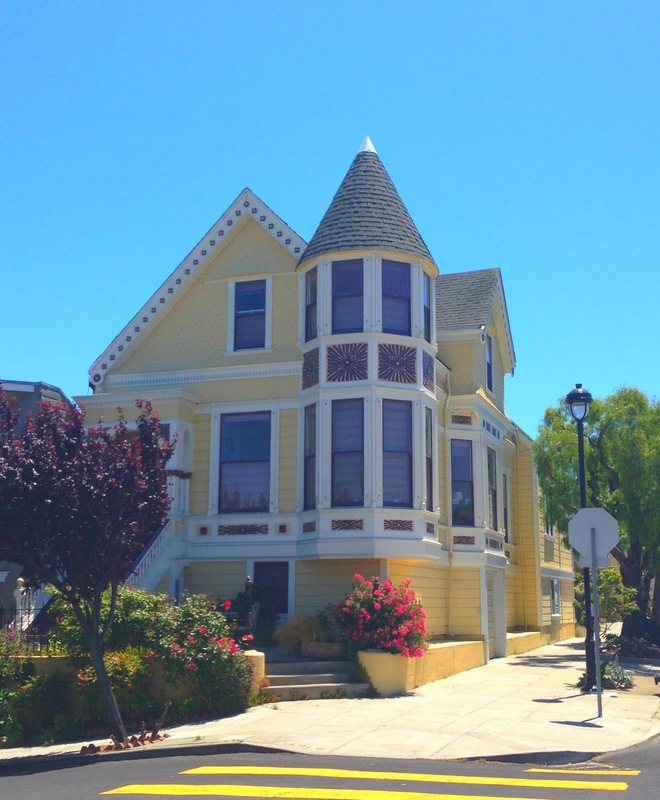 The house is now yellow instead of the baby blue color it wore in the movie. 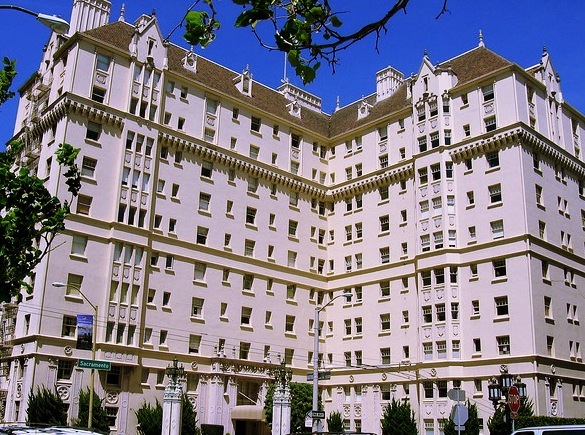 When I first moved to the city, I actually lived in Pacific Heights. I spent many walks in search of this house (pre-Internet days) and never found it, and now I know why. The movie haunts me to this day, and it’s the reason why I am staple gun-phobic. Who doesn’t love Robin Williams in this role? I think I’ve seen this movie as many times as I’ve seen people in the Mission dressed in plaid shirts, skinny jeans and Converse shoes. The movie was released around the same time I moved to San Francisco. 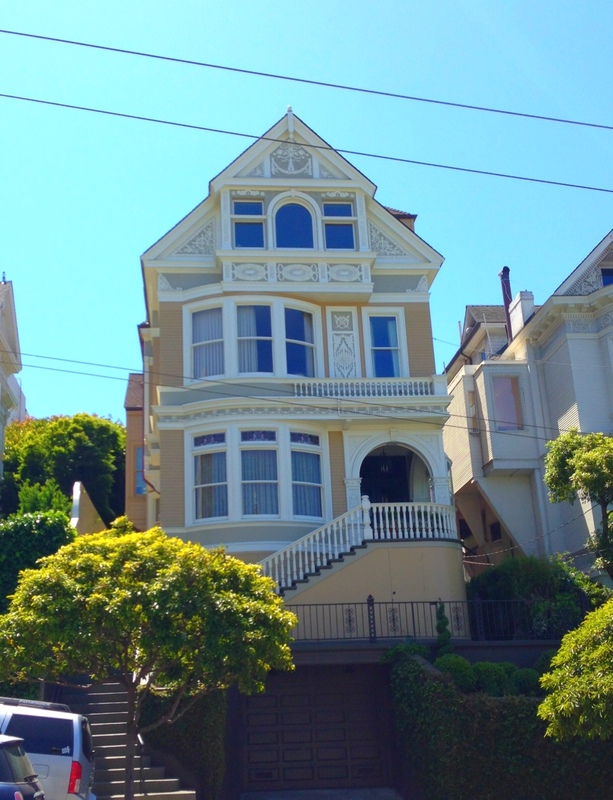 I lived right around the corner from this house in my junior one-bedroom on Pacific Avenue and Fillmore Street that I rented for $730 a month (*sob*). I vividly recall thinking, poor residents, as I saw hoards of tourists surrounding the house from morning to night. Here’s another hottie that attracted its own entourage of groupies during the time I lived in the hood. Remember Matthew Fox before Lost? He played the big brother to his orphaned family who lived in this stately victorian mansion and had to deal with plenty of drama because of their individual dysfunctions. Neve went on to become better known as the actress who played in that guy favorite movie with Denise Richards, that Love-Hewitt girl now has a tv show that’s also popular with guys, and I’m not quite sure what happened to the rest of the kids. But I’m happy to see that the mansion still stands, and it’s in great shape. I admit that I don’t remember much from this movie except for that guy favorite scene (please don’t make me say it). But this was the house of Sharon Stone’s er…sultry character, Catherine Tramell. 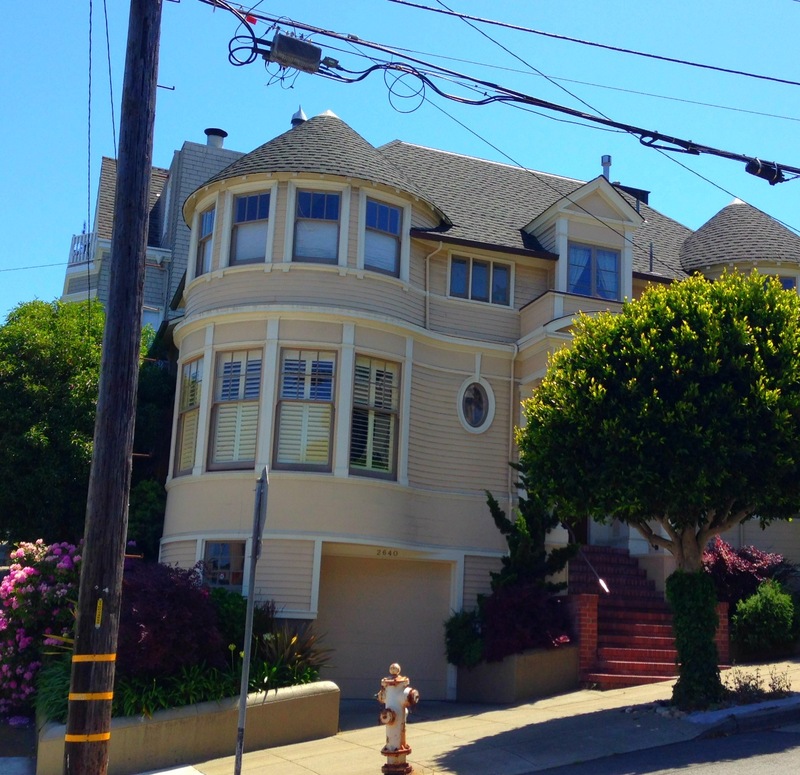 Here’s another shocker: the house that you saw in the opening credits of the tv show that made those twins famous? 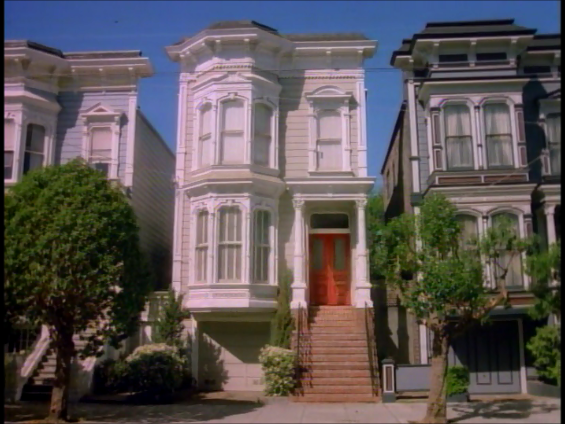 It’s not one of the Painted Ladies on Steiner that appeared frequently throughout the series. 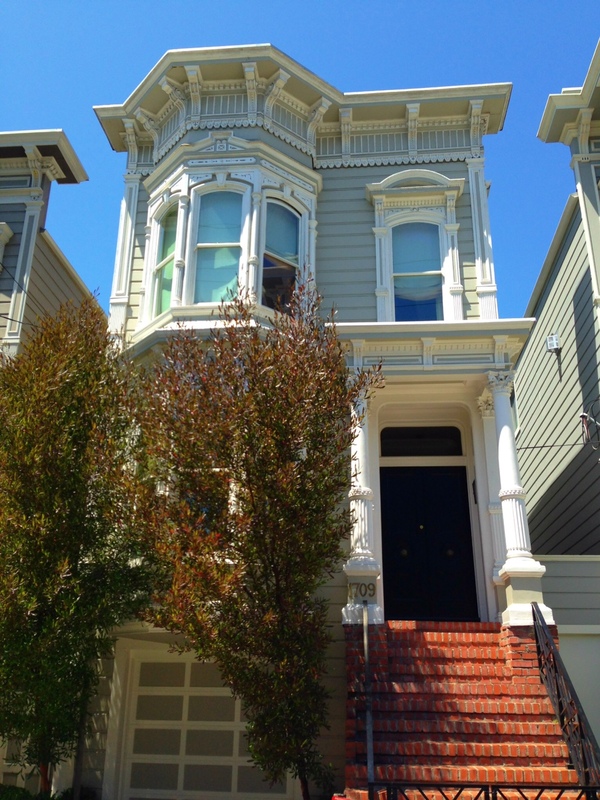 The Full House house is actually located in the Lower Pacific Heights neighborhood on Broderick between Bush and Pine. Note: It no longer has a red door. My peeps would not be happy. 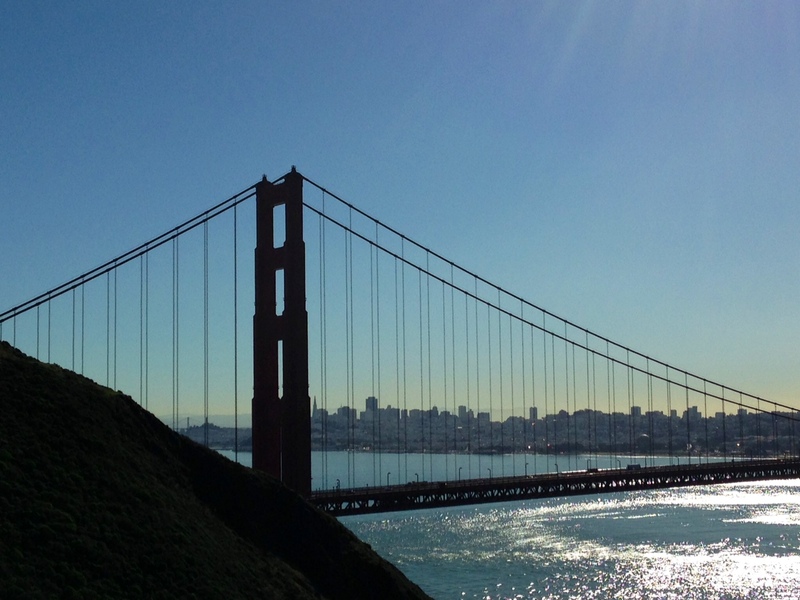 So here’s a toast to San Francisco, its boundless beauty, infinite number of hotties and long-standing relationship with Hollywood. Know of other hotties in the city that have appeared on tv or in movies? Please feel free to share with a comment. Hey Lin, Alex here, I came across your site by chance, but I’m going to be visiting it again. I think you have a great style of writing and your passion for houses simply keeps me reading. Keep up the great work and hope you turn your passion into money making too. Thank you Alex! I appreciate your feedback and support, and I do hope you plan to return to my blog. In the mean time, I will check yours out. Thanks again!